The Cotton Candy machine is shown below with optional stand for only $5.00 and highly recommended over a table because it sits low to the ground and makes it easier to use. Includes 50 clear bags, 10 cotton candy sticks and 1 ready to use box of cotton candy sugar. 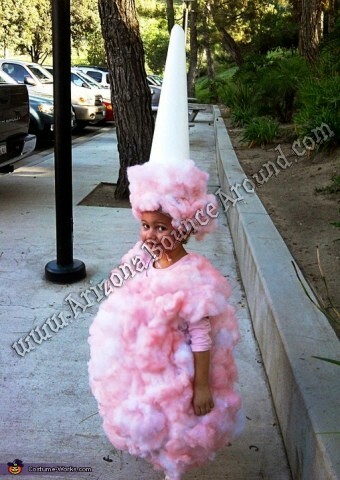 A good way to calculate cotton candy supplies is 50 to 75% of estimated attendance. 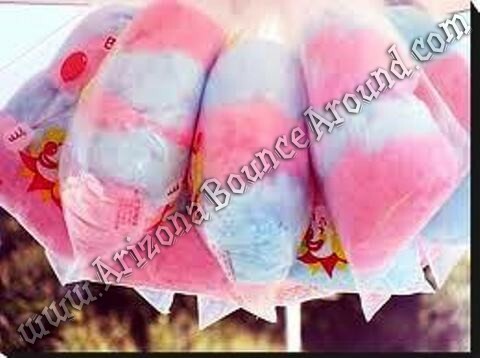 Most cotton candy rental companies provide only sticks and sugar with the cotton candy machine but we provide 50 see thru printed Bags to put the Cotton Candy in and 5 cones to get the cotton candy out of the machine and your choice of pink or blue cotton candy sugar. 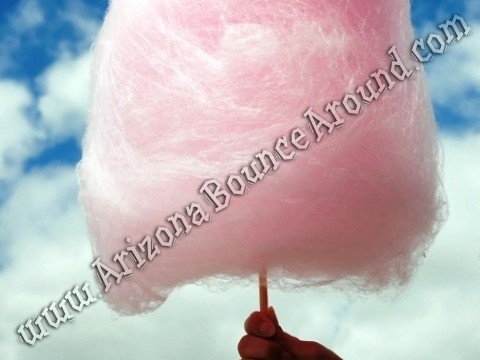 Cotton candy is a big hit for kid's birthday parties, movie nights, school and church carnivals or office parties. There is nothing like hot, fresh cotton candy. No party is complete without a cotton candy machine and we rent them. 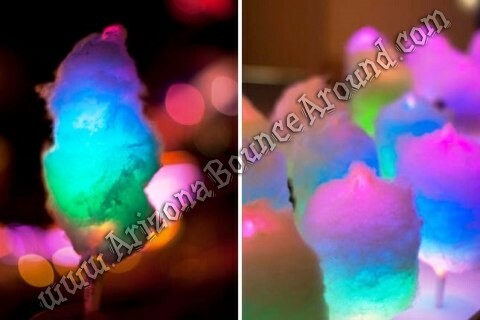 We also have LED cotton candy sticks to make your cotton candy glow in the dark and sure to help you sell more at your carnival or party. 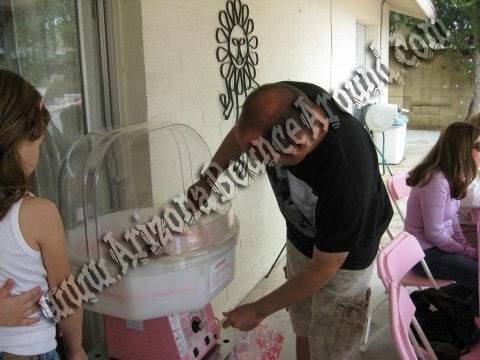 Our cotton candy machines are professional quality machines that are easy to use. 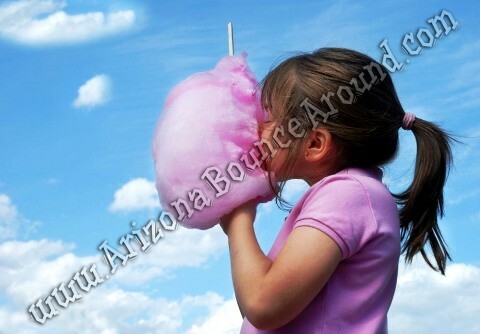 Our cotton candy machines will fill the air with the smell of freshly made cotton candy just like at the fair. 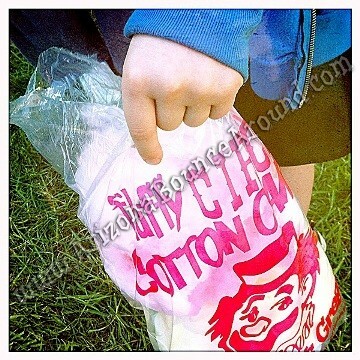 Cotton candy machine rentals come complete with color printed cotton candy bags and instructions for use. All of our cotton candy supplies come in a pre mixed pack so no need to measure or mix the cotton candy sugar before making. We sell only high quality theater quality cotton candy supplies for all of our concession machine rentals. The same concession supplies used at carnivals and movie theaters. Rent all your concession machines from Gravity Play Events located in Denver Colorado and we offer delivery to the Denver metro area or you can pick them up from or office. If your looking to rent a cotton candy machine or concession machine in the Denver, Colorado Springs, Aurora, Fort Collins, Lakewood, Thornton, Arvada, Centennial, CO area, look no further than Gravity Play Events.